Industry insiders fear that new apprenticeship college training groups could unfairly distort the market and divert government cash away from frontline education services. 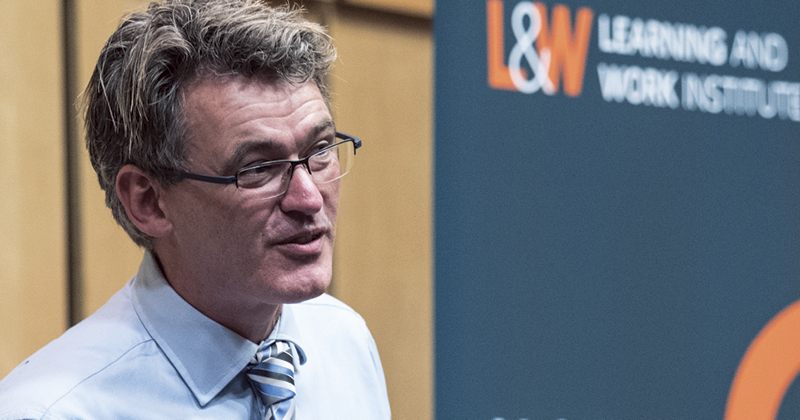 Groups of colleges banding together to set up bodies to help broker joint deals with local employers to encourage them to take on apprentices, prompted Mark Dawe (pictured), the boss of the Association of Employment and Learning Providers, to call for more “fairness in the system”. One such body, the London Apprenticeship Training Group, a collaboration between Barnet and Southgate College, the College of Haringey, Enfield and North East London, Hertford Regional College, and Waltham Forest College, was officially launched on Friday (September 30). It’s a semi-independent shared brokerage service designed to persuade north London firms to take on apprentices from member colleges – but each college will also continue to deliver its own separate Skills Funding Agency contracts. FE Week understands a number of other colleges have submitted area review transition grant applications in an effort to launch similar apprenticeship brokerage companies. But Mr Dawe has raised concern about public cash being spent on these college groups. He said: “Our only concern is that there is transparency and fairness in the system,” adding “where there is additional government money, it should not used to distort an already competitive landscape between providers. The LATG promises to “identify the right training provider, the right course and the right candidate”, effectively acting as a broker between the employer and the Digital Apprenticeship Service, which will be fully operational by April 2017. Andy Forbes, principal of the College of Haringey, Enfield and North East London, argued that partnerships like LATG were beneficial. “Colleges working together will be able to offer an even bigger range of options while at the same time making things much simpler for employers and young people looking for apprenticeships,” he said. The topic of brokerage last came under scrutiny six months ago, when an FE Week investigation found huge sums of public cash meant for frontline learning was being hived off to brokers. Brokers typically charge subcontractors up to five per cent commission for matching them to a prime provider. In September, FE Week followed up on this comment, but the SFA denied that a formal review of brokers was being carried out. FE Week approached the SFA to provide a list of institutions to have received funding so far, but it refused to name names. “We are currently progressing applications for funds from the restructuring facility and the transition grant,” said a spokesperson. Just to be clear, the London Apprenticeship Training Group is receiving no additional government funding at all. It’s fully resourced by the partner colleges, no commission is being charged to anyone and therefore no public funding is being “hived off”.